26 July 1309 – Henry VII of Germany is recognized King of the Romans by Pope Clement V.
1469 – Wars of the Roses: the Battle of Edgecote Moor, pitting the forces of Richard Neville, 16th Earl of Warwick against those of Edward IV of England, takes place. The Battle of Edgecote Moor took place 6 miles northeast of Banbury (Oxfordshire), England on 26 July 1469 during the Wars of the Roses. The site of the battle was actually Danes Moor in Northamptonshire, at a crossing of a tributary of the River Cherwell. The battle pitted the forces of Richard Neville, 16th Earl of Warwick, against those of King Edward IV. The battle is considered to be an important turning point in the course of the war. A speech or pamphlet, in answer to the preceding brief, vindicating the King's conduct with regard to the death of bishop Fisher, and complaining of that of the see of Rome in trying to get Francis to intercede for him, and in calling him a cardinal after his death to excite the hatred of all cardinals. Repudiates also the insinuation that the intercession of Francis had precipitated his fate. The same See which used to enjoy a cruel triumph in which innocent men, women, and children were massacred, now deplores the death inflicted by law upon a traitor. The Holy See laments the death of bad men, and rejoices at that of good. It has in former times regarded the slaughter of bishops and cardinals, not merely without grief, but even with joy. It has seen all Italy, and especially Florence of late, suffering severely with no little satisfaction. 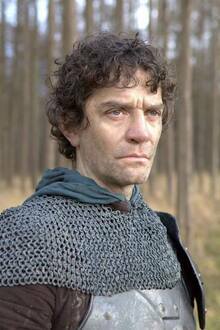 Fisher's death was the least cruel that could be devised, for he was not poisoned, as some do, nor boiled in lead, nor hanged as a traitor should be, nor burned, nor tortured, but killed with a sudden stroke of the sword,—a most merciful death for such a crime. Yet this petty orator (rhetorculus hic) absurdly complains of the kind of death to induce sympathy in many members. For this brief contains many things which are the work of Blosius, not of Paul. Taunts the Holy See with being more offended with the death of a traitor than that a man should live in notorious adultery; though, as regards adultery, Paul III. 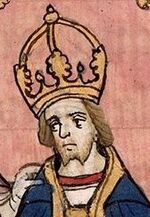 took the King's side before he was Pope, and he might as well have abstained from appealing on that subject to the French king, who, with all his councillors and the universities in his kingdom, pronounced the marriage with Katharine null. 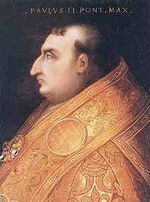 Repudiates the imputation of schism, declaims against the pretensions of the Pope to afford protection to his cardinals in doing wrong, and ridicules the notion that things were treated of between England and France at Calais to the universal injury of Christendom. Effigy of George Talbot on the Talbot monument in Shrewsbury Chapel, Sheffield Cathedral. 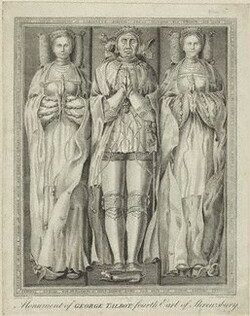 His wife Anne is on his right side and Elizabeth on his left. 1581 – Plakkaat van Verlatinghe (Act of Abjuration): the northern Low Countries declare their independence from the Spanish king, Philip II. 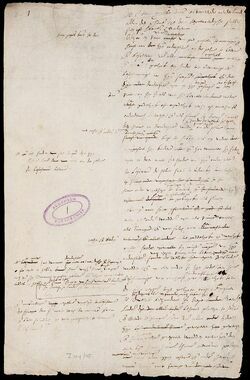 The Act of Abjuration or Plakkaat van Verlatinghe, signed on 26 July 1581 in The Hague confirmed the decision made by the States-General of the Netherlands in Antwerp on 22 July 1581, formally declared all magistrates in the provinces which united in the Union of Utrecht absolved of their oath of allegiance to their overlord, Philip II of Spain. It stated that by oppressing and violating the ancient rights of his subjects, Philip was considered to have vacated his thrones in the Low Countries. As such, it was the formal declaration of independence of the Low Countries. 1614 - Death of Henry Grey, 1st Baron Grey of Groby.He was the only surviving son of Lord John Grey of Pirgo, Essex, and Mary, daughter of Anthony Browne, 1st Viscount Montagu and Magdalen Dacre and was educated at Christ Church, Oxford. He succeeded his father in 1564 and was knighted in 1587.